Villa Finale was the last home of civic leader and historic preservationist, Walter Nold Mathis. 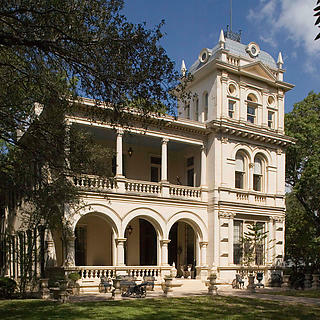 Located in the heart of the King William Historic District in San Antonio, the Italianate mansion was built in 1876 by a successful hardware merchant and over the next 90 years had several owners who reflected San Antonio’s evolving story. In 1967, in the midst of a neighborhood decline, Mathis purchased the home, restored it, and went on to restore up to 14 properties in King William thereby providing the catalyst to the district’s revitalization. Today, King William stands as an example of a revitalized historic urban neighborhood with Villa Finale at the forefront of community involvement through its engaging programs and events. Villa Finale’s historic integrity has been preserved by its owner and used for modern living with a flair for the past. The beautiful home and gardens are enhanced by the extensive collections of Mathis, which include more than 12,500 distinctive examples of decorative arts and furniture. 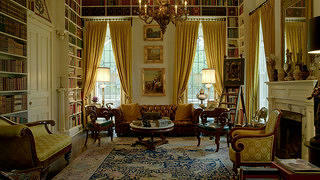 These include 19th and 20th century antiques, silver, ceramics, fine art, books and Napoleona. National Trust individual adult members receive 50% off regular admission. All other member types receive 50% off for two adults and all children between 8 - 18 years of age in the immediate family. 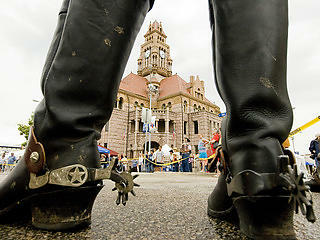 As part of its programming, Villa Finale offers a variety of activities that cater to a diverse audience in San Antonio. 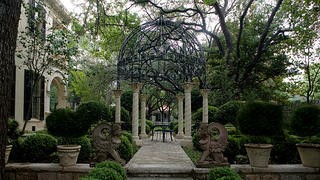 From general tours for the everyday tourist, to specialized lectures and workshops for the art and history connoisseur, to family events for the general community, and exclusive garden receptions, Villa Finale reflects the vibrant atmosphere that is today’s revitalized King William Historic District. 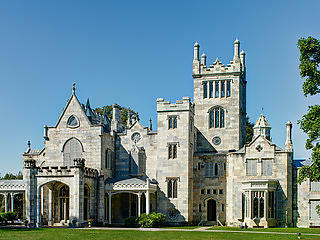 Villa Finale is operated by Villa Finale: Museum and Gardens and owned by the National Trust for Historic Preservation. Villa Finale is also a member of the National Trust's Distinctive Destinations program. 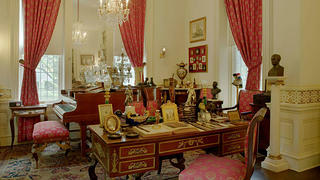 Villa Finale's collection includes more than 12,500 distinctive examples of decorative arts and furniture. The terrace and gardens of Villa Finale. 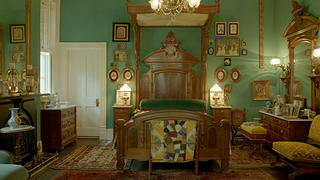 The green bedroom in Villa Finale. These include 19th & 20th century antiques, silver, ceramics, fine art, books and Napoleona. 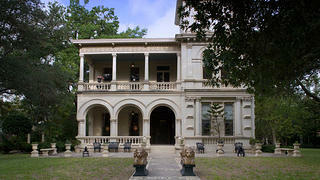 Villa Finale is the first and only historic site in Texas owned and operated by the National Trust for Historic Preservation. Fifty percent discount on regular public tours: one adult for Individual Members; two adults and all children between the ages of 8-18 years in the immediate family for all other Members (museum not suitable for children under the age of eight due to dense concentration of delicate objects in the collection). Discount does not apply to other programs and cannot be combined with other offers.